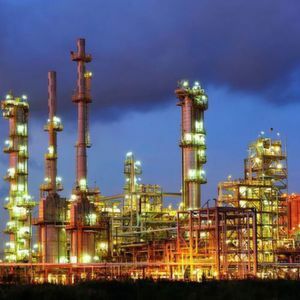 HPCL-Mittal Energy has assigned the contract to the Italy-based firm for setting up a new High-Density Polyethylene unit along with a new Polypropylene unit in Punjab, India. Upon completion, the HDPE project is expected to have a capacity of 450,000 tonnes per year and the PP unit is expected to have a capacity of 500,000 tonnes per year. Milan/Italy – Maire Tecnimont has recently announced that its subsidiary Tecnimont, in consortium with its Indian affiliate Tecnimont, has been awarded two EPCC (Engineering, Procurement, Construction and Commissioning) Lump Sum contracts by HPCL-Mittal Energy (HMEL). The contracts are for the implementation of a new High-Density Polyethylene unit (HDPE) and a new Polypropylene unit (PP). The units will be located adjacent to Guru Gobind Singh Refinery at Bathinda, Punjab, in northern India. HMEL is a joint venture formed by Mittal Energy Investments Singapore and Hindustan Petroleum Corporation. The overall value of the EPC Lump Sum contracts is in the range of 225 million dollars. The projects’ scope entails engineering, procurement, construction and commissioning activities up to the Performance Guarantees Test Run of the monomer purification sections and the polymerization areas. Once completed, the new HDPE unit will have a capacity of 450,000 tonnes per year, while the new PP unit will have a capacity of 500,000 tonnes per year. The time schedule is 25 months for mechanical completion.